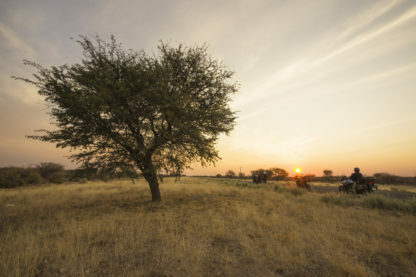 This trip takes in the best of the South African and Namibian coastal regions and then heads to the Okavango in Botswana and then Johannesburg. A good mix of tar and good gravel roads. 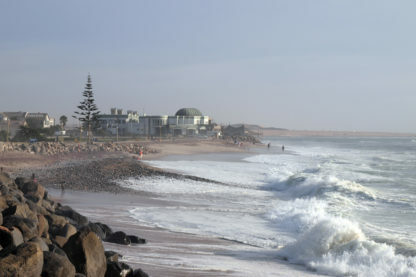 Cape Town and the Cape peninsula, West Coast and mountain passes, Fish River Canyon, Aus, dunes and canyon at Sesriem, Kalahari San experience, wildlife on the Okavango Delta, Big 5 game reserve at Etosha National Park. 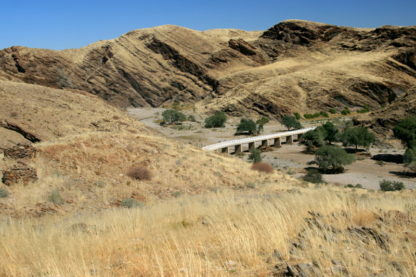 353 km. 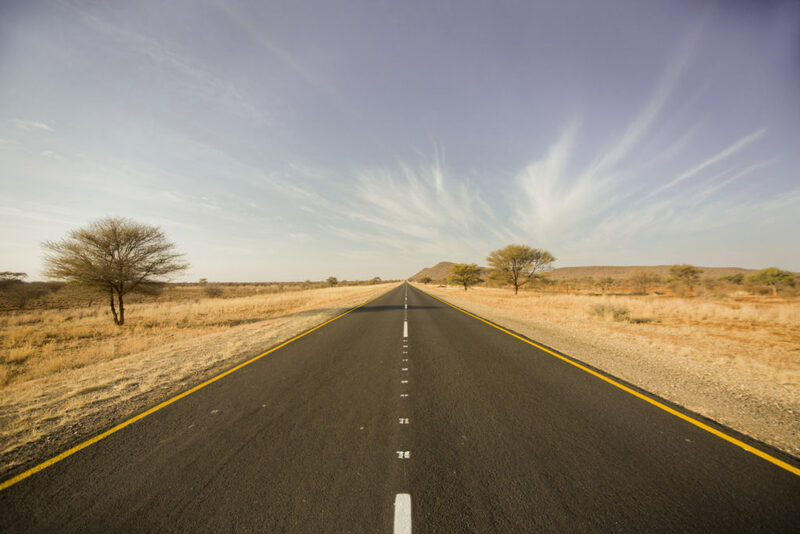 We make our way north through the heartland of South Africa's famous Rooibos (Redbush) tea growing area and through the Cederberg mountain range. 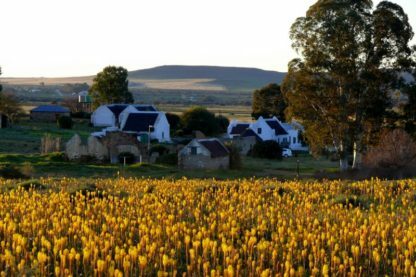 Two spectacular mountain passes take us up the escarpment to higher ground before we stop for the night at Papkuilsfontein farm in Nieuwoudville. 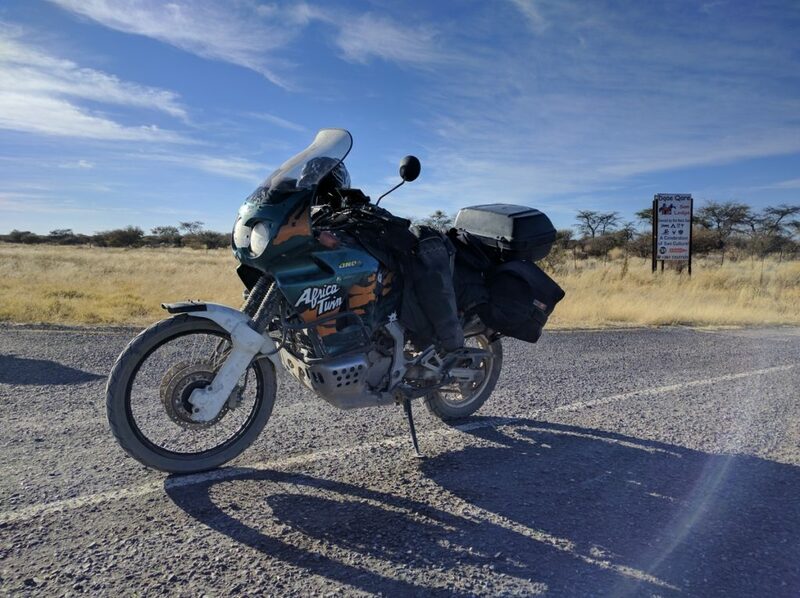 434km. 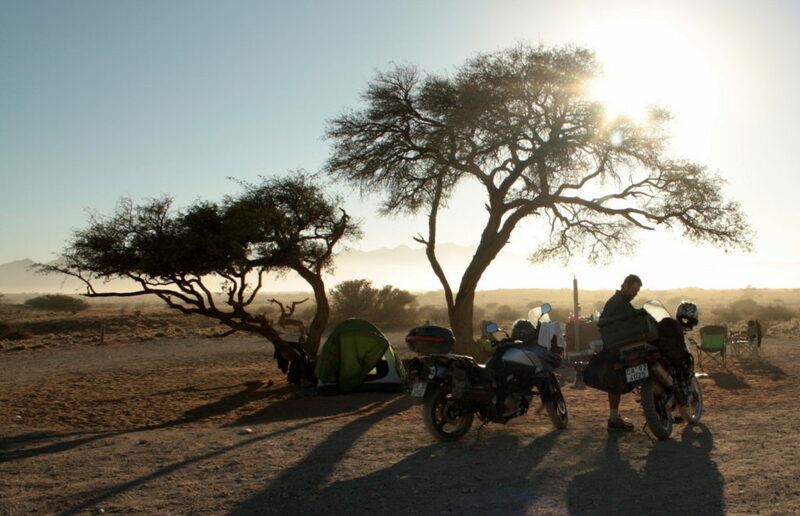 We continue north along good gravel roads through the Northern Cape towards Springbok. 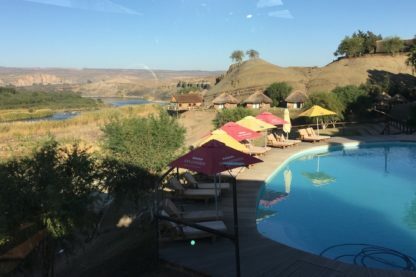 After crossing the border into Namibia we stop for the night on the banks of the Orange River at the peaceful Provenance camp which overlooks the river and has an excellent restaurant. 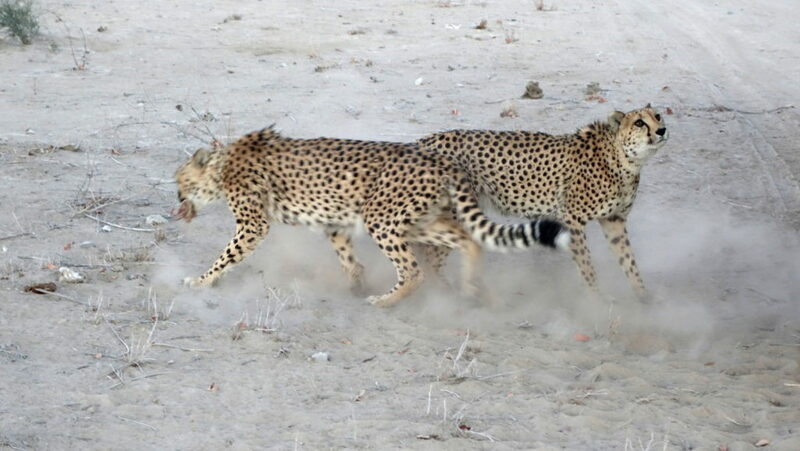 167 km. 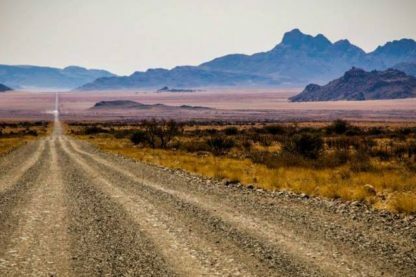 Today we explore Namibia's good gravel roads and stunning desert landscapes as we track north along the Orange and Fish Rivers. 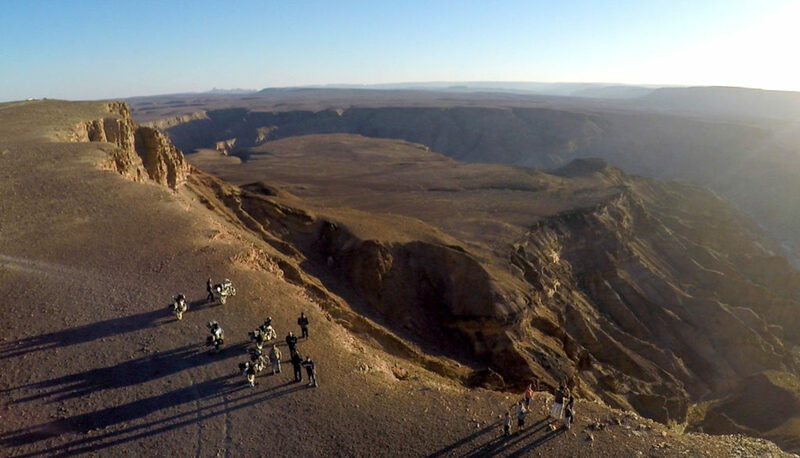 We take in the Fish River Canyon before the short final ride to the iconic Canyon Roadhouse where we stop for the night. 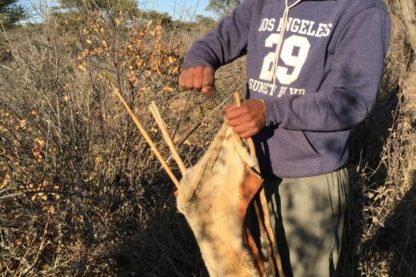 260km. 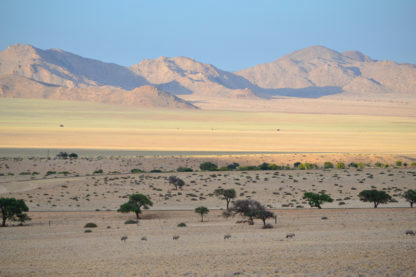 Today we get to see the vast Namibian landscapes as we head north and west on a mixture of good gravel and tar roads towards Aus. 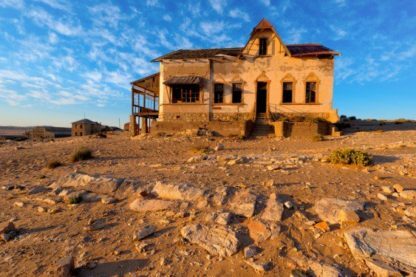 200 km: An optional out and back ride through the Namib-Naukluft National Park stopping at the ghost town of Kolmannskop and the historical German town of Luderitz. 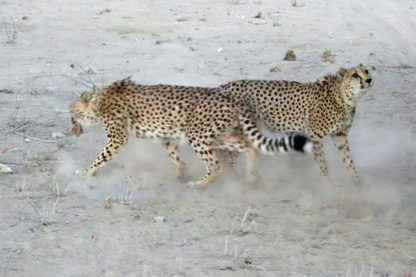 375km. 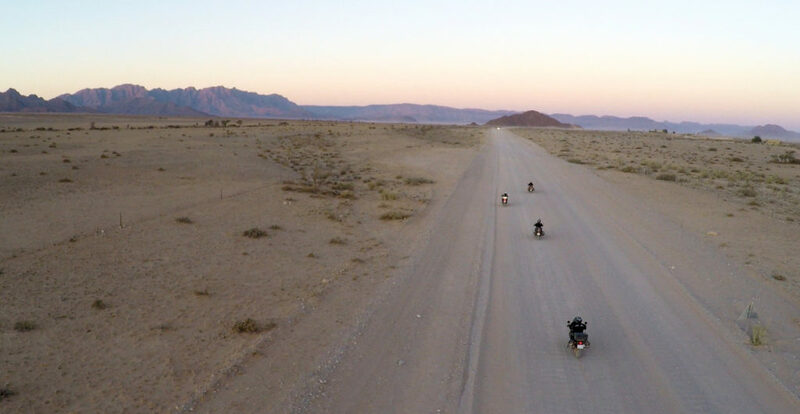 We ride north along the edges of the Namibia Naukluft Park through vast Namibian landscapes. 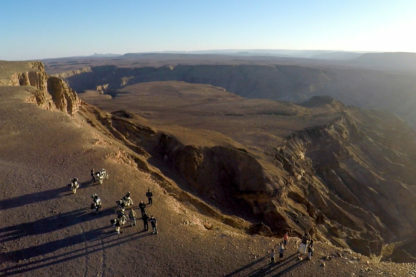 Our destination is the canyon and dunes at Sesriem and Sossusvlei. 0km. 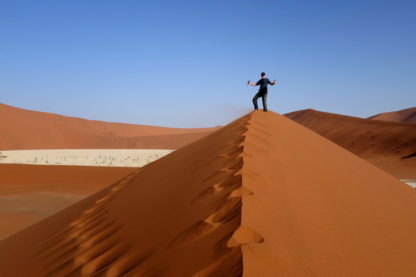 We spend the day at Sossusvlei exploring the highest dunes in the world, the famous Deadvlei and the spectacular canyon at Sesriem. 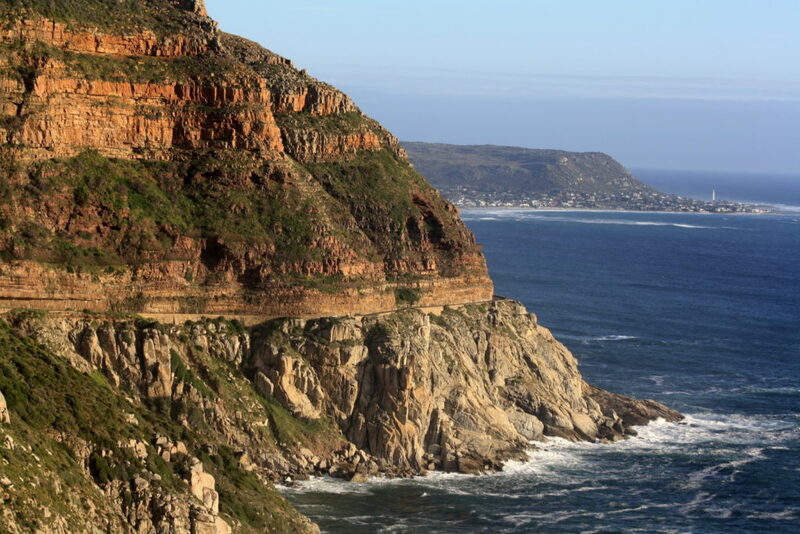 180km: Our next leg is a short ride past a number of old shipwrecks along the Diamond Coast up to Henties bay, before we turn inland to the Spitzkoppe rock formations. 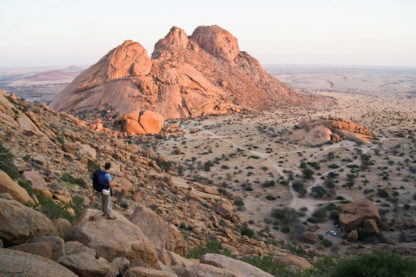 okm: Today is another full rest day where we get to explore the massive rock formations, monoliths and bushmen paintings at Spitzkoppe. 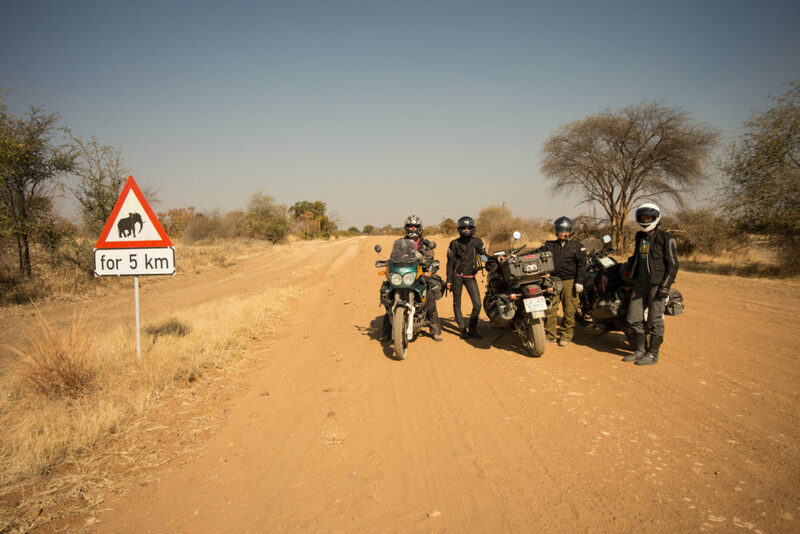 335km: Our journey to the north of Nambia continues on more good gravel roads. 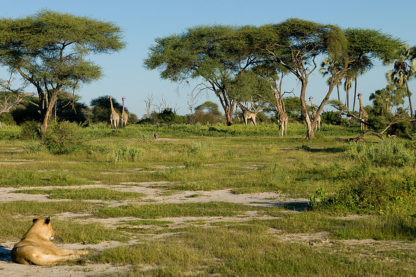 We end the day at Eldorado Game farm just south of Etosha National Park. 0 km. 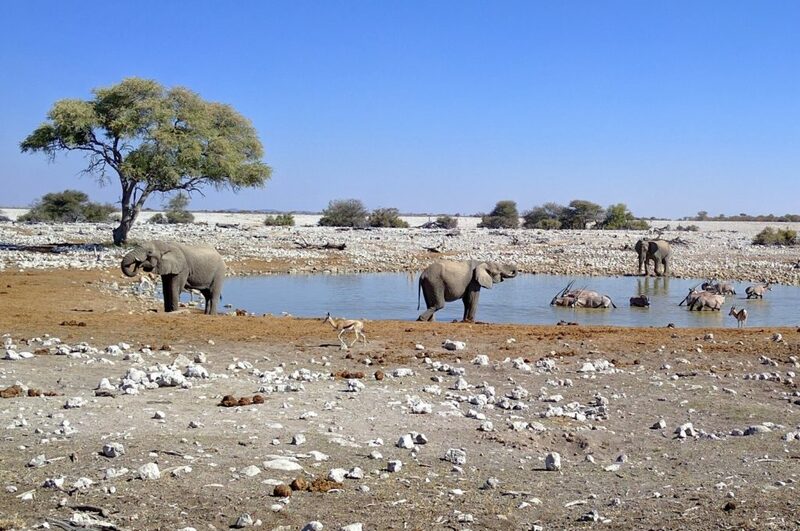 Etosha is one of our favourite game parks and offers excellent game viewing on our full day guided game drive in a 4x4 vehicle. 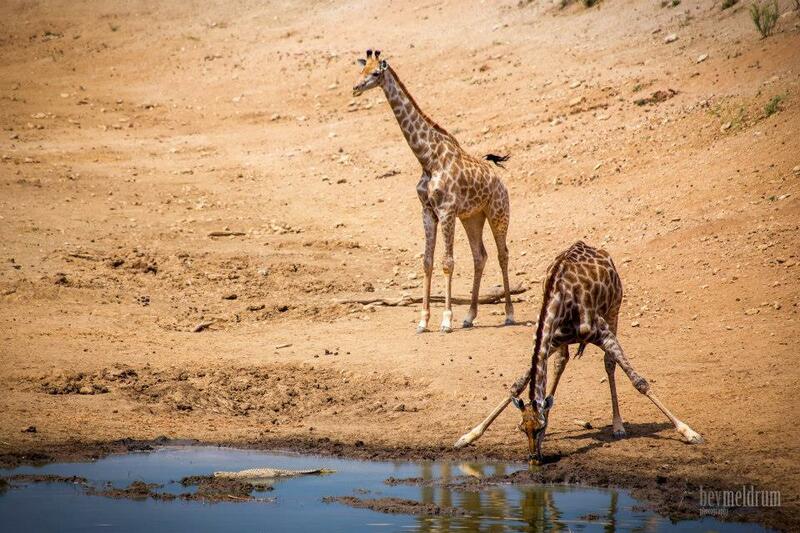 The many waterholes attract endangered black rhinoceros, lion, elephant and large numbers of antelope. 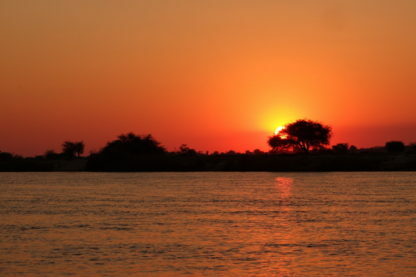 610km: An early start today to get to our overnight stop at Rundu on the banks of the Okavango River. 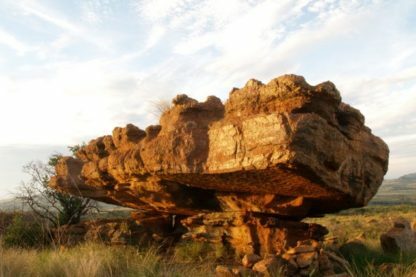 We stop for lunch at Grootfontein to view the 80-ton Hoba meteorite. 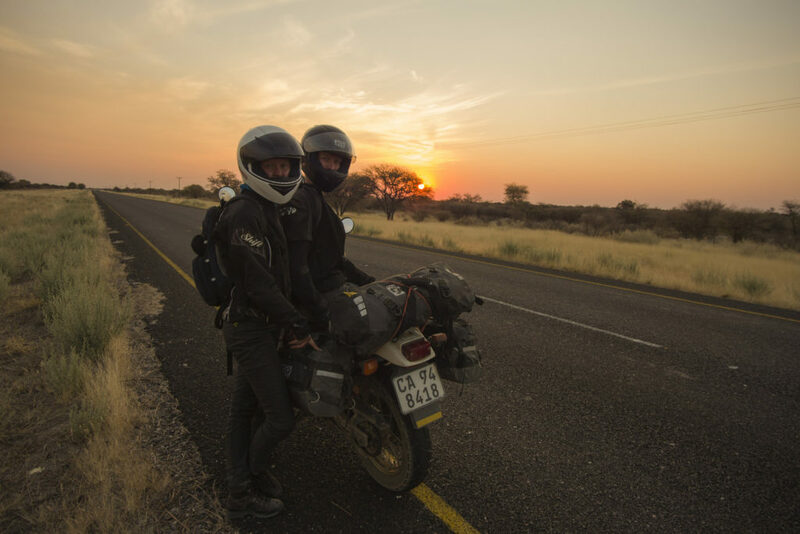 260km: Today we head east through the Caprivi Strip and then south into Botswana to our overnight campsite at Drotsky's Cabins on the bank of the Okavango River. 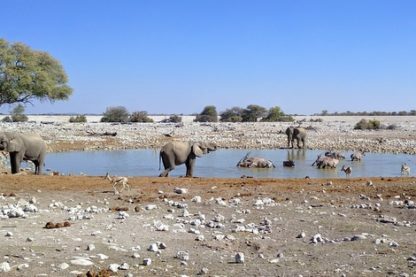 370km: After breakfast and an optional river trip for birdwatching or fishing we hit the good tar roads south to Maun at the Okavango Delta. 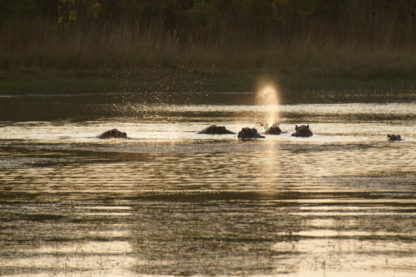 0km: A rest day today with the option of a day-long game viewing trip into Moremi game reserve or a Mokoro boat ride into the Okavango delta. 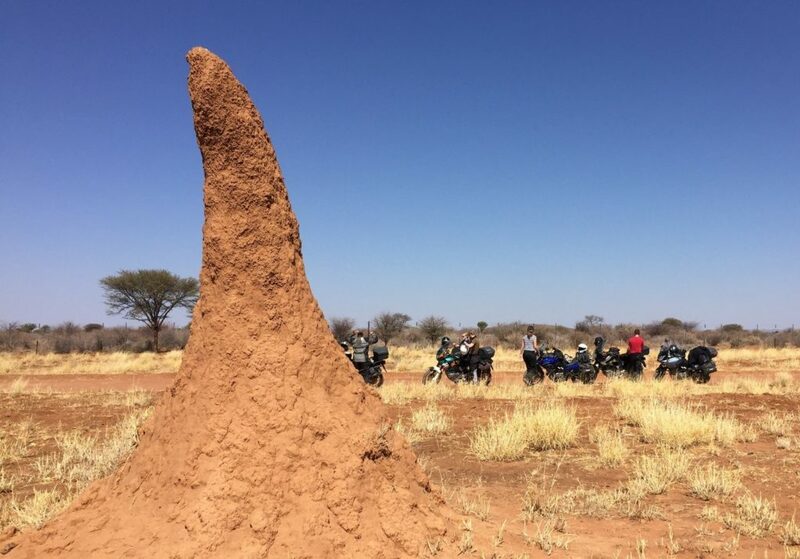 268km: Today we head south-east along good tar roads to Dqae Qare game farm and San community in the Kalahari, home of the San people for over 15000 years and one of the best star-gazing locations we've been to. 256km: We have the option of a morning bush walk with a local San guide before departing for our overnight stop at Kang. 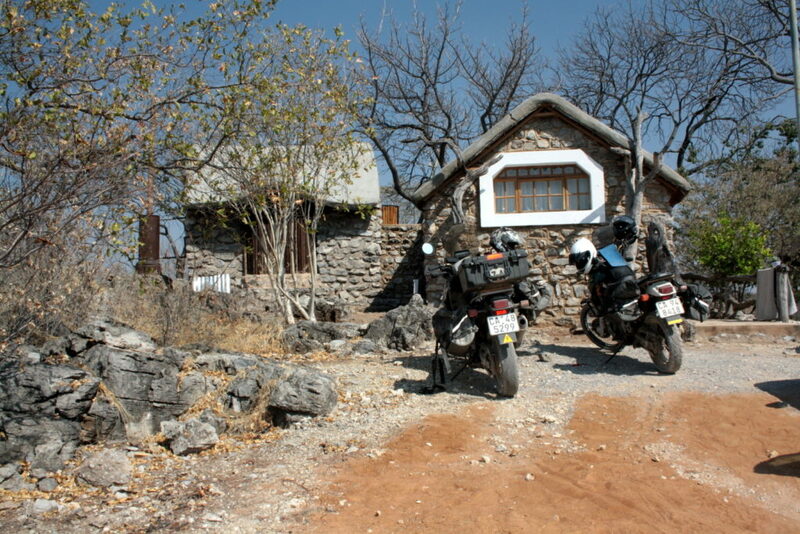 650km: An early start today to reach a beautiful farm in the Magaliesberg mountains in South Africa. Good tar roads ending with a gravel mountain pass. 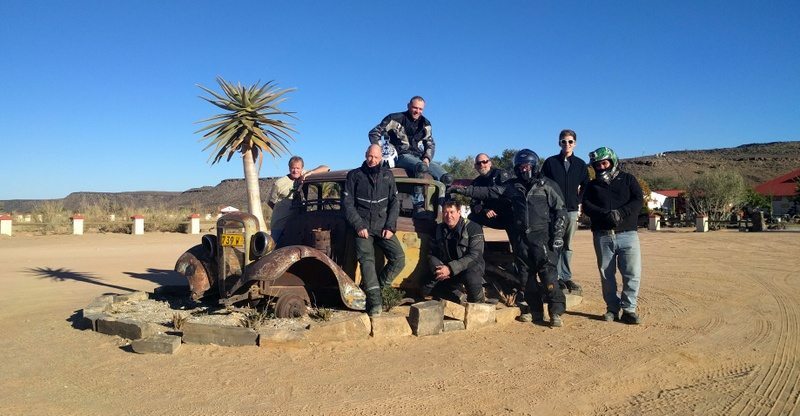 130km: A short ride into Johannesburg on mostly tar roads. 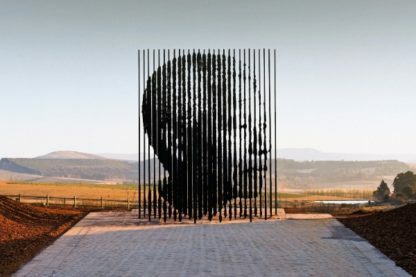 Depending on timing we have the option of visiting the world famous Apartheid museum in the afternoon. 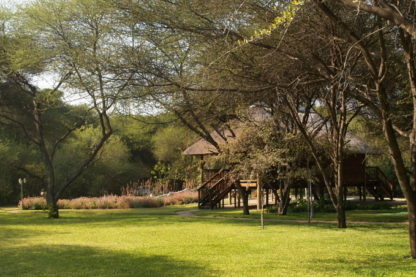 Accommodation includes a mix of comfortable lodges (usually twin rooms) and campsites equipped with hot water and electricity. 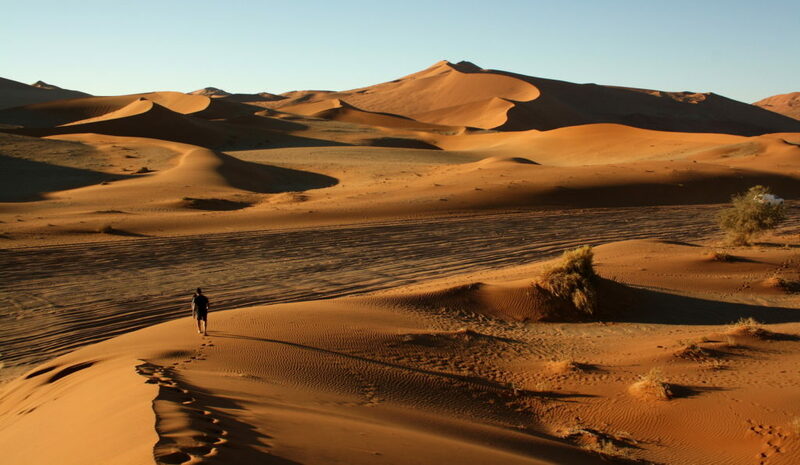 We’ll provide your camping gear – tent, sleeping bag with fresh inner liner, pillow and pillowcase, and a thick blow-up mattress – unless you’ll bring your own. We can help with hiring helmet, gloves, jacket, trousers etc on request. 1) Prices in South African Rand. Click here to convert to your currency. Ready to ride with us? 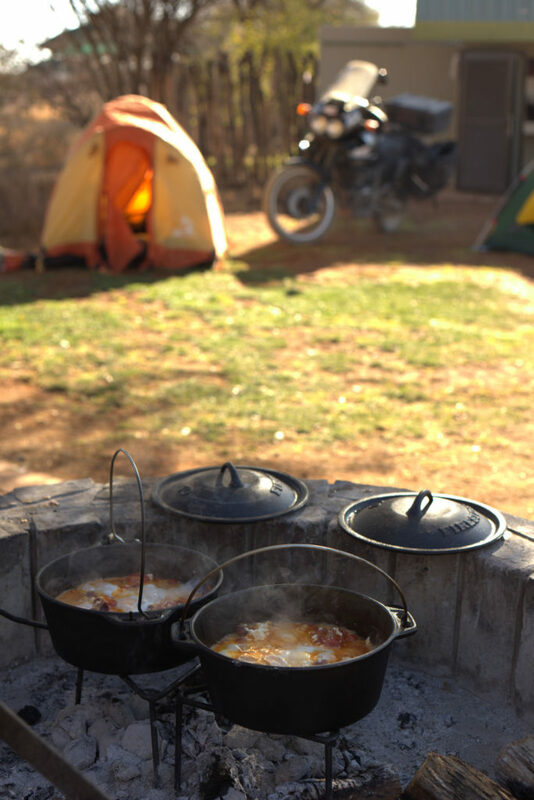 Email andrew@ridedownsouth.com and we’ll confirm availability and send you a booking form. A 30% deposit is required to secure your place on the tour. Payment details are listed on the Booking page. Full payment is due 21 days before the tour. Click on the link to download our Terms and Conditions / Indemnity. This must be signed by all participants prior to the start of the tour. Visit our FAQ page or email andrew@ridedownsouth.com or fill out the contact form below.